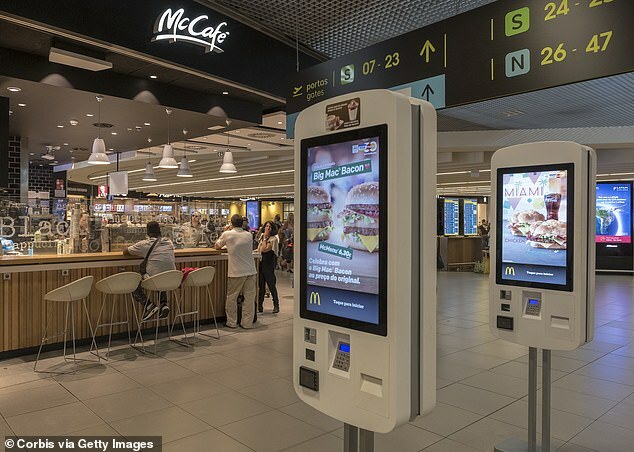 Traces of feces were found on every single McDonald’s ordering touch screen swabbed during a recent study, according to a Wednesday report in the United Kingdom’s Metro. The research was carried out by the Metro, which swabbed the ordering touch screens at local McDonald’s franchises for its study. According to the report, the Metro tested swab kits, which were taken from eight McDonald’s locations — six locations in London and two in Birmingham. Dr. Paul Matawele of London Metropolitan University’s Microbiology department commented on the report with some pretty disturbing information. Matawele went on to note that one such acquired infection included the Staphylococcus bacteria, which can cause blood poisoning and even death. Matawele went on to deliver even more disturbing information. The study found that Listeria bacteria was also discovered at several restaurant locations. “Listeria is another rare bacterium we were shocked to find on touch-screen machines, as again, this can be very contagious and a problem for those with a weak immune system,” Matawele added. Matawele added that the research also discovered Proteus (found in both human and animal feces) and Klebsiella, which can cause pneumonia, urinary tract infections, and more. Matawele said that whatever McDonald’s was using to clean their screens has clearly not been good enough.